Paul Jackson took the above photograph at Kilve Beach in Somerset at the weekend. 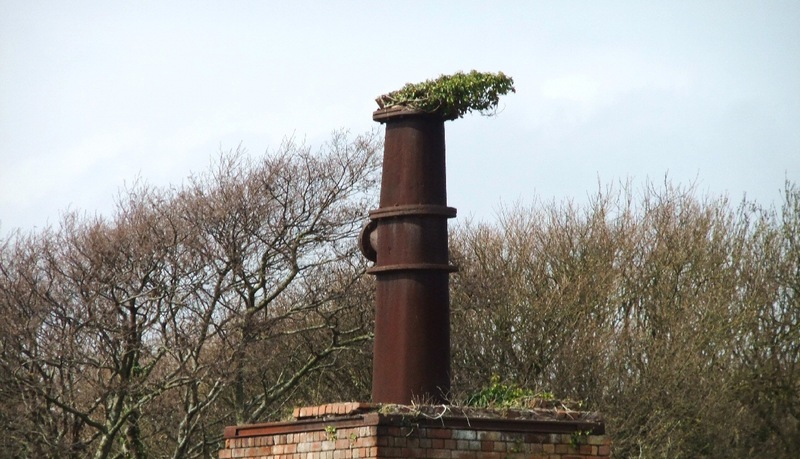 It's a pretty good simulacrum of a smoking chimney... or rather, it's a real chimney with a simulacrum of smoke coming out of it. 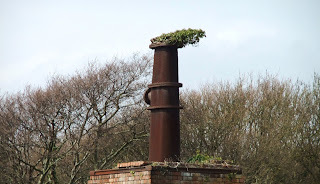 The prevailing wind has had the same effect on the shrub as it would have on real smoke!